All of the aeronautical knowledge and skill needed to earn the Instrument Rating certificate are covered in this guide, from basic flying and navigation techniques to meteorology and instrument flight rule (IFR) maneuvers. Thorough review sections help hone knowledge in preparation for the Federal Aviation Administration (FAA) Knowledge Exam, while detailed text and illustrations prepare pilots for the oral and flight tests. The knowledge and skills required for preflight preparations as well as those required for departure, en route, terminal, and approach procedures are thoroughly covered. Numerous, full-color illustrations simplify maneuvers perceived to be complicated, such as holding patterns, intercepting and tracking, and flying approaches with crosswinds. With all of the tasks required by the FAA covered in this text, instrument students are provided with a solid foundation to obtain and use the instrument rating. 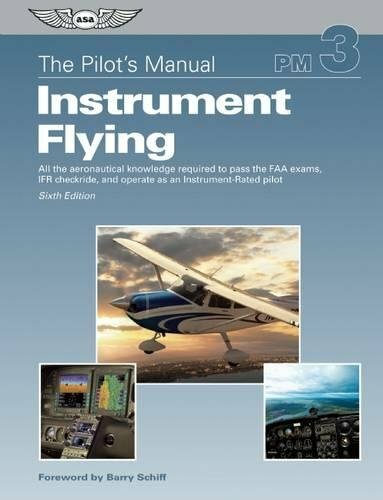 Revised to meet current FAA requirements, procedures, and regulations, this manual also contains information about newer, glass cockpit” technology and how it relates to traditional, round-dial” cockpit instrumentation. Published by Aviation Supplies & Academics, Inc.